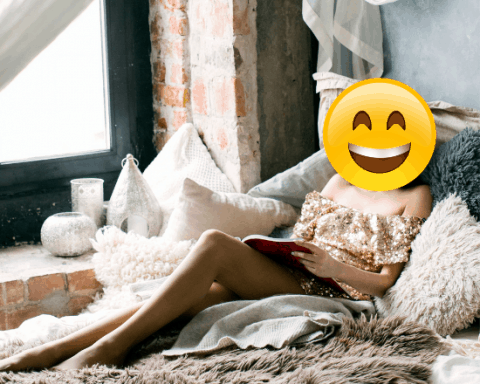 Unbelievable' New Releases You Can't Wait to Read! ‘Unbelievable’ New Releases You Can’t Wait to Read! Two weeks into September and it’s finally starting to feel like fall, and with the new season, comes new books! From riveting autobiographies and intense dramas, to provoking sci-fi and secret love, here are eight new books just released this week. The wide variety of genres ensures that there’s something for everybody to read. From acclaimed author Nicole Krauss comes her latest novel, a vivid story centered around the lives of two very different people, one an older, recently retired partner of a law firm, and the other a young, well-known novelist going through both personal and professional troubles. Both find themselves in Israel, desperately searching for something they haven’t been able to find. Full of reflection and self-realization, this novel is set to be a poignant and introspective read. In an idyllic town in the suburbs, everything is perfectly planned out, just the way resident Elena Richardson likes it. With the arrival of free-spirited single mother and artist Mia, things start to change for Elena and her family, who, despite reservations, grow close to Mia and her daughter. But when a custody battle divides the town and puts Mia and Elena on opposite sides, Elena becomes fixated on digging up Mia’s secrets, and has to learn the price of her obsession. From critically acclaimed author Celeste Ng, this book covers both mysteries and drama – and guaranteed to be one we won’t want to put down. From Christina Lauren (the pen name of brilliant writing duo Christina Hobbs and Lauren Billings), comes a story about two boys, Tanner and Sebastian, one from a progressive family, and the other from a deeply religious and conservative community, who fall in love in a writing class. Temporarily back in the closet after his family moves to Utah, it’s only during his senior year of high school that Tanner notices and falls in love with Sebastian, a Mormon writing prodigy. Autoboyography is a stunning book, sure to inspire readers with its authenticity and beauty. When the vuvv land, it doesn’t seem like an invasion, with the promise of free advanced technology and the cure for all illnesses. But with his parent’s jobs taken over by technology, and no money, clean water, or food, Adam and his girlfriend Chloe have to find an alternative way to survive, which comes in the form of live performances of 1950s date nights in pay-per-view style. Though this seems like a great idea, the fact that Adam and Chloe can’t stand each other weighs on them more and more with each “date.” From acclaimed writer M.T. Anderson, this alien sic-fi novel is a very down-to-Earth, human story. Maria Sharapova, internationally-renowned tennis star, has led an incredible life, becoming an instant sensation when she beat Serena Williams at Wimbledon, then just seventeen years old. From her beginnings in Russia, to the manicured green lawns in Florida, Maria Sharapova documents her life candidly in her autobiography. Here, we learn about her relationships and life both on and off the court, and her fierce determination and ambition. This is one book we’ll definitely be keeping close by as the weather gets colder. Award-winning music icon David Bowie, who passed away at the beginning of last year, led one of the most memorable and legendary lives imaginable. 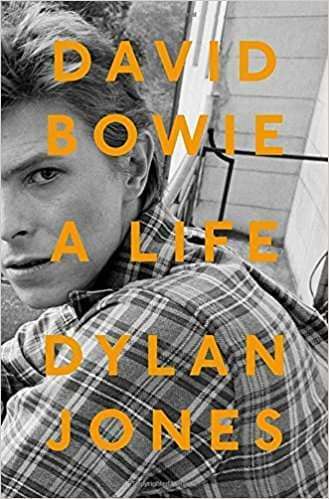 Covering among other things his London roots, the creation of Ziggy Stardust, his relationship with his family, and his marriage to Iman, this book offers readers an view into the real life of David Bowie. Drawing from hundreds of interviews with friends, lovers, family and rivals, this biography promises to be the most intimate yet. In perhaps the most-publicized and talked about election yet, Democratic presidential-nominee Hillary Clinton shockingly and unexpectedly lost to Donald Trump. After disappearing from the public eye, Hillary Clinton is back, with a memoir that reveals for the first time her thoughts during the election, her inspirations, regrets, and what happened after the election was over. In a political season marked with bizarre twists and turns, blatant sexism and challenges on democracy, the current political climate all but guarantees that this is one book you should be reading. From NBC News, broadcast journalist Katie Tur followed Donald Trump around the country during his campaign, which granted her one of the closest views of the president-elect and his campaign party. Calling him out and fact-checking him from day one of his campaign trail, Tur was personally targeted by Trump, to the point where Secret Service agents had to protect her when she walked to her car. In Unbelievable, Katie Tur documents her perspective of the election – the strangest story she has covered to date.